Hotel was clean,staff were friendly and efficient. Perfectly situated for the ultimate in convenience, this 4-star hotel is just a short walk from Birmingham Airport. An on-site restaurant provides the perfect place to refuel with an evening meal or visit to the 24-hour bar for a relaxing drink or snack. If you’re looking to keep energised, the on-site fitness centre will help provide a handy pre-flight boost. The hotel is perfect for all types of traveller dreading their early-morning dash to the terminal. It’s also suitable for families with safe play areas and special menus for the kids. The Elements Restaurant on-site serves simple yet authentic International cuisine and also has choices for children. There is also an on-site Bar that is open 24 hours a day. Breakfast is a buffet offering full English options and Continental items. A full English breakfast costs £16.45 and a Continental breakfast is £12.45. All Novotel hotels offer accommodation and breakfast free for two children under 16. The hotel also has entertainment and play areas for all ages in the lobby and a gift awaits the children when they arrive. No transfers required as the hotel is situated directly opposite the terminal building. If you have booked this hotel alongside a parking option, customers should park their car first and then venture onto the airport complex as the hotel is situated directly opposite the terminal building. Double room: Suitable for up to two adults, double rooms are furnished with a queen-size double bed. Twin room: Suitable for up to two adults, twin rooms are furnished with a queen-size bed and a sofa-bed. Family three room: Suitable for up to two adults and one child aged 16 or under, family three rooms are furnished with a queen-size double bed and a roll-out bed. Family four room: Suitable for up to two adults and two children aged 16 or under, family four rooms are furnished with a queen-size double bed and two single roll-out beds. 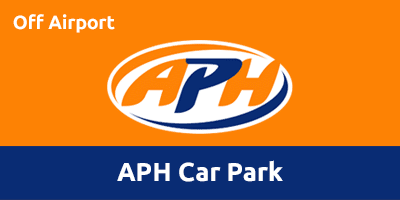 Park at the APH Car Park on the day of your stay and catch the free 12-minute transfer to the Airport which runs 24 hours a day every 15 minutes, from where it is just a short walk to the Hotel. Enjoy your stay at the hotel! From the north, head along the slip road onto the roundabout and take the third exit. From the south you’ll be on the correct road after exiting at Junction 6. Take the next slip road. Take the second exit on the roundabout. At the following roundabout take the second exit. At the end of the road, turn left past the Ibis Hotel and the Novotel Hotel will be on the left at the end of the road.